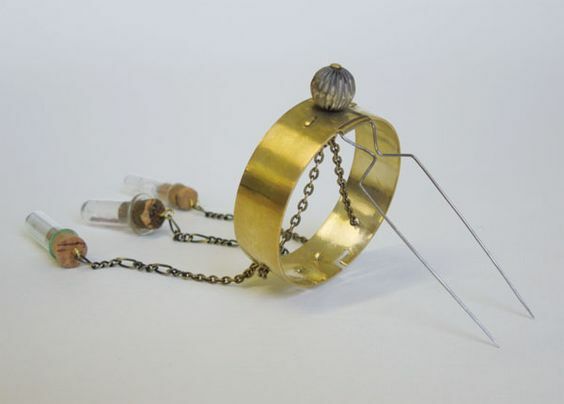 Delectable jewellery, metalwork and silversmithing! Our annual pick of the most delicious new talents selected from all across the UK and Ireland! Rob Anderson, Sheffield Hallam University - already a winner, bagging the prestigious 2016 Business Design Centre New Designer of the Year Award for his Japanese ceramic inspired ‘family’ of earthy steel vessels entitled ‘Heavy Hands’. Their meditative beauty arises from his carefully considered making process – a wonderfully tactile collection with great presence. We are also delighted to serve up collections by: Francesca Lobb, Manchester School of Art; Felicity Lynden, University of Edinburgh; Freya Alder, Glasgow School of Art; Stephanie O Leary, Middlesex University, London; Michaela Murrain, De Montfort University, Leicester, and Amanda Denison, Winchester School of Art. 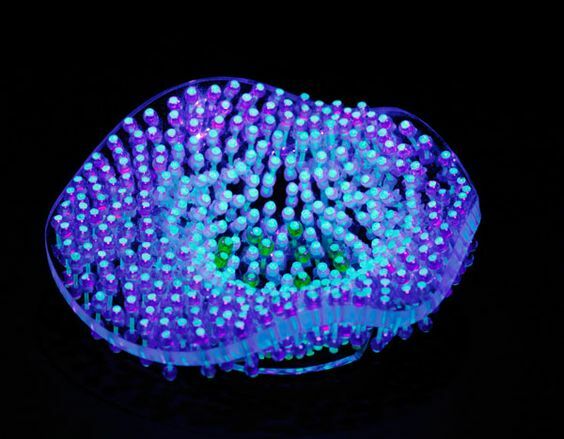 Wanshu Li, Edinburgh College of Art – ‘Go with the Glow’ is a taste explosion – sensual, soft to the touch jewels, in a riot of fluorescent UV reactive nylon wire, inspired by raves, laser light shows, and jellyfish! 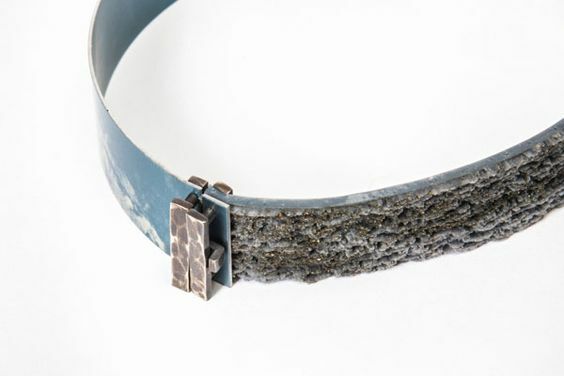 « My jewellery is focused on exploring the multisensory experience and making tactile wearable pieces, which involve different sensory experiences such as vision, sound, and touch. 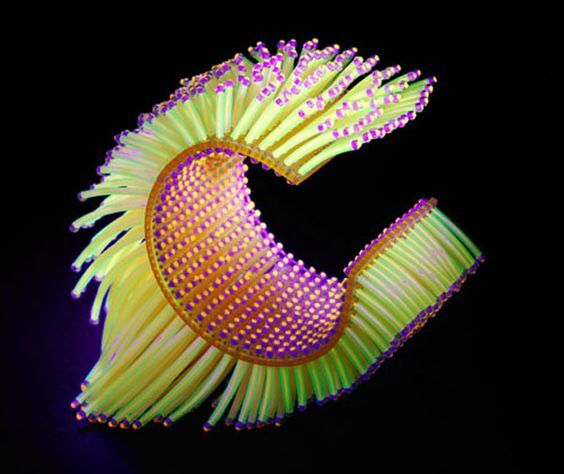 The inspiration for the jewellery series “Go with the Glow” stems from capturing the moving moments in the natural world. I was deeply attracted by free-swimming marine animal. 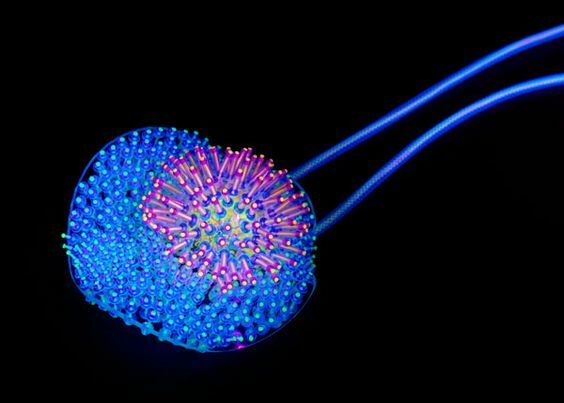 For example jellyfish, which is soft, light, and glowing with the characteristics of amazing colours. I was also fascinated by dancing, rave party and laser light show. « I am inspired and intrigued by the traces left behind through dilapidation and decay and by the marks stamped on the urban environment. And I am drawn to repeated elements that distort and change. I have a fine art background and this influences my approach to jewellery making. I live and work in West London and take numerous photographs of the details I discover as I walk the streets. These are incorporated into my work through mark making and drawings on my enameled surfaces. « Drawn to the simplicity and elegance of clean lines in architectural design, Stephanie O’Leary is influenced by geometric structures which jut-out, protrude or extend from the existing ‘frame’ of their environment. Specifically scaffolding, cranes and power lines. Scaffolding: “a temporary structure used to support the construction, maintenance and repair of buildings”. What some may perceive as a temporary ugliness protruding out of the natural urban environment; she is drawn to its linear design, the contrast between permanence and degradation, and the transient nature of its construction. Formed from various different components, scaffolding can be assembled in various different ways to integrate with and support a building; the structure can be assembled, disassembled, relocated and assembled again. In this sense, over time, the structure is in a constant state of flux, moving around the city. 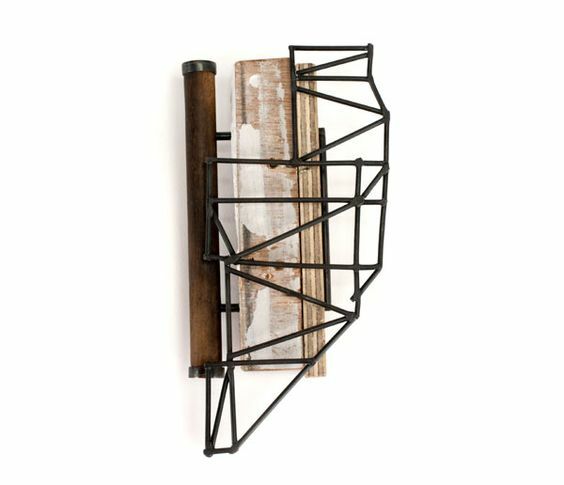 By focussing on this dynamic, O’Leary uses universal hinges and industrial materials to create kinetic urban structures, which mimic the minimalist and fragmented aesthetic of London. 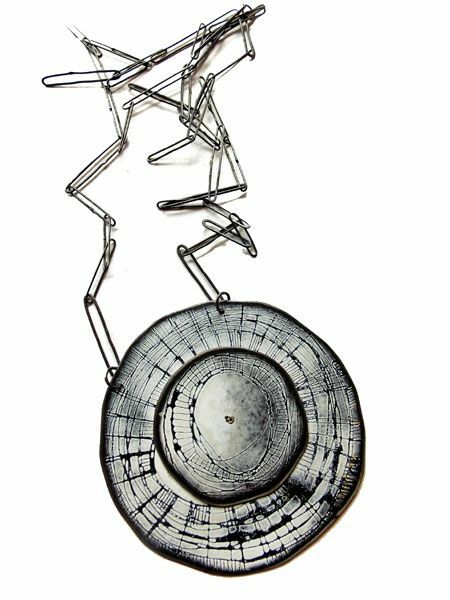 Chen Cheng, Birmingham School of Jewellery – inspired by ballet, Chen’s delightfully playful series of rings and brooches seem alive, dancing on the body – every element of her finely manipulated metal wire mini sculptures move as the wearer moves. 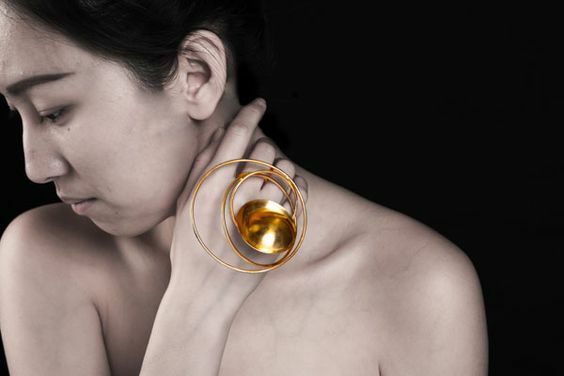 « Chen Cheng believes that contemporary jewellery is interactive because it demands a response, which can either be physical or emotional. 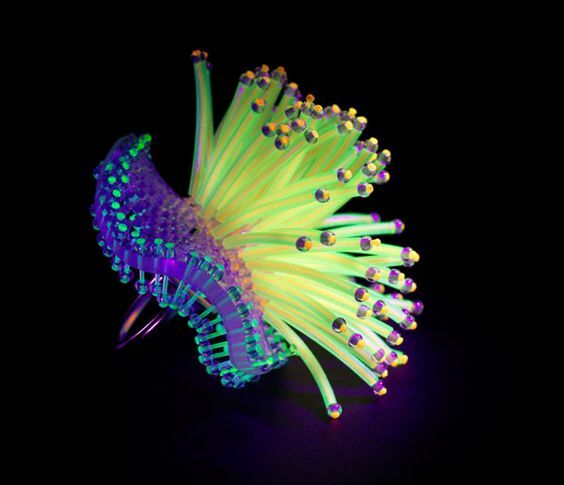 Through kinetic movement and visual interaction, her work is designed to be explored. “My pieces invoke play. 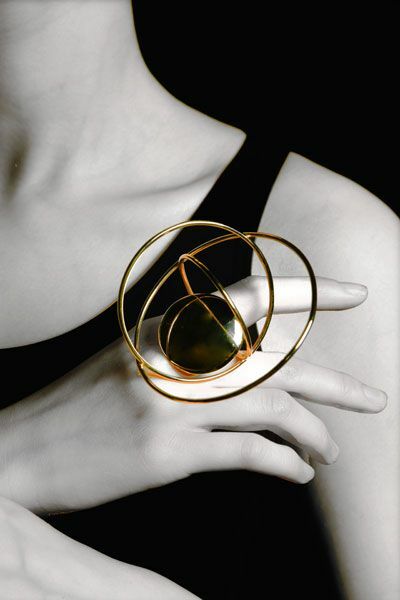 Every element is movable, and this quality enhances the physical movement of the wearer”. Combining her own aesthetic and working style, Chen has taken inspiration from shapes and moving modes found in the human body, which are also expressed through modern and traditional ballet dancing. Applying this motion to express the mystique and magical forms of the human body was the key determining process in her jewellery design. 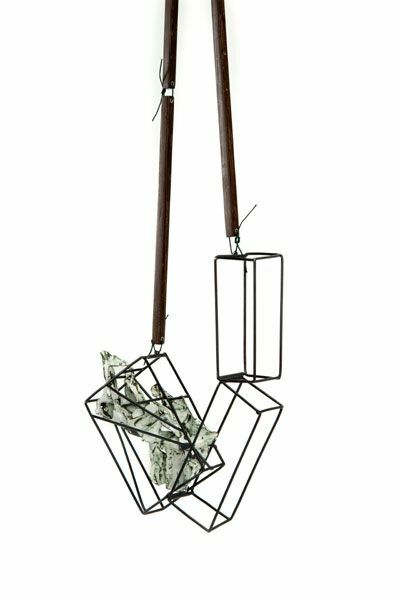 Using fine wire and simple metal shapes to create the minimal forms allows the audiences to pay close attention to the movement of the work. Akin to dancing, each piece’s “performance” holds its own surprise in style and character. 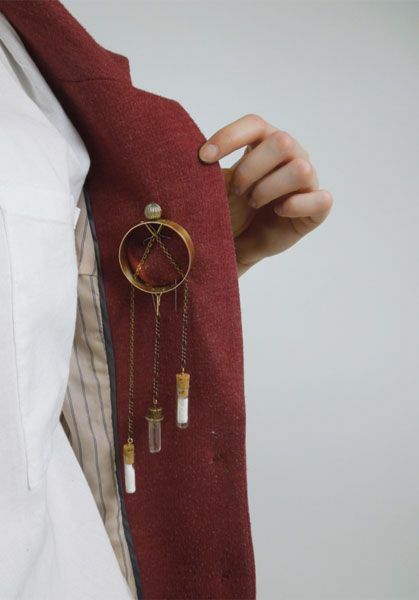 « Through the exploration of body adornment and personal possessions my practice primarily focusses around how an object evokes personal comfort for its owner. Through interrogation of pre-owned objects and our interaction with our personal belongings, my works emphasis is on the user’s experience. 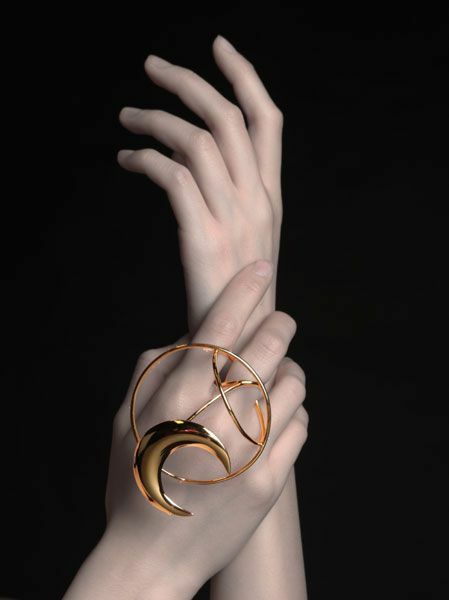 By observing these interactions I question how the design of an object can entice an individual to explore the piece and how this can provoke the wearer to form a personal attachment to the item. 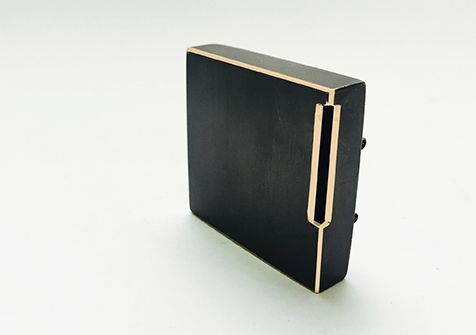 Producing small scale objects with close attention to detail, I question how the user will interact with each piece. 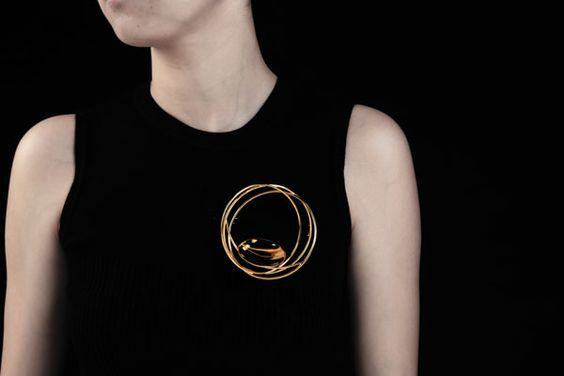 Creating intricate designs that evoke engagement, generates an individual narrative upon each item through the user’s choice of how it is worn. Darcey Skelly, National College of Art and Design, Dublin – ‘Voyages of the Starship Stetson’ – a collision of two iconic fictional genres, Sci-Fi and the Western, paired in a crazy creation of her own imagining. Her concept, if the Cowboys of the Old West found a way to propel themselves into Space to colonise a planet. 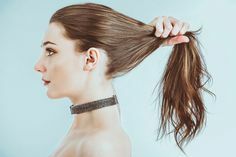 Darcey describes herself as ‘an illustrative maker’, a storyteller who aims to show there is more to a piece than meets the eye! 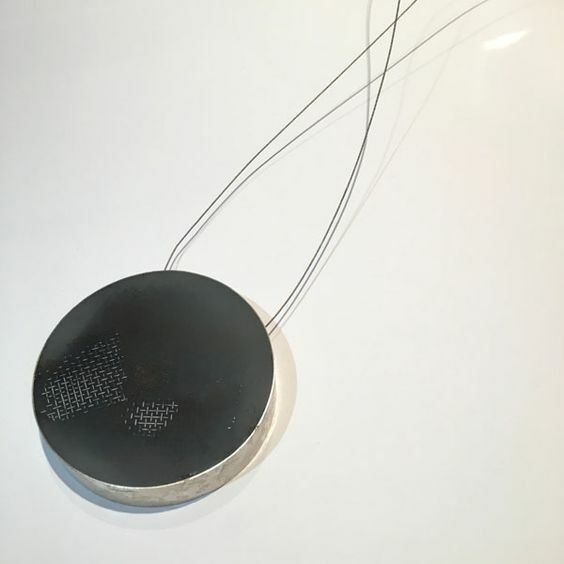 Sheng Zhang, Birmingham School of Jewellery – winner of the New Designers Goldsmiths’ Company Silversmithing Award 2016 is influenced by minimalist art and contemporary architecture. 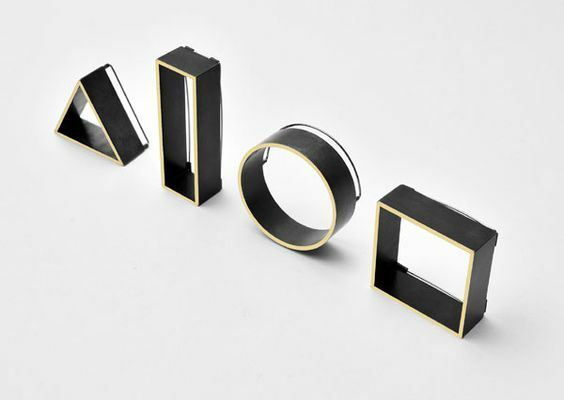 Shafts of light slice through finely crafted incisions in his series of supremely elegant geometric brooches and vessels – all darkly oxidised with glinting gold edges. « Sheng Zhang is influenced by minimalist art and inspired by contemporary architecture. His passion concentrates on the exploration and expression of the relationship between internal and external spaces with significant contrasting elements such as forms, textures and colours. The collection involves the utilisation of highlighted incisions and openings to imply and emphasise the link of internal and external space, as well as introducing light as an indicator of different spaces to allow the viewer to look through and explore the entire piece. 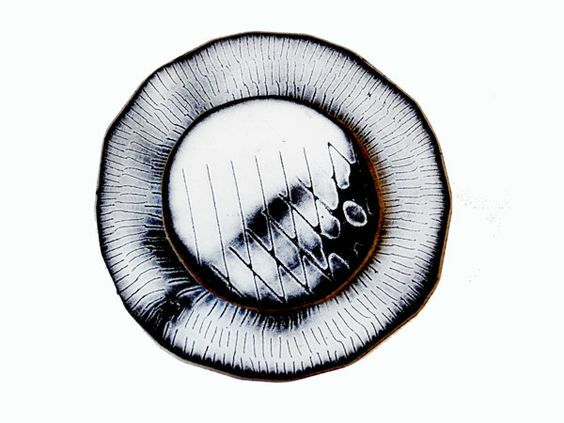 This also strengthens the visual response, captures attention and produces curiosity for the viewer. 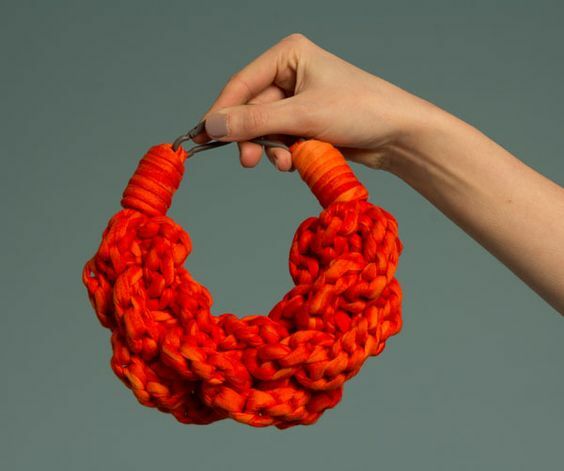 « I am a designer, maker and jeweller based in Glasgow. 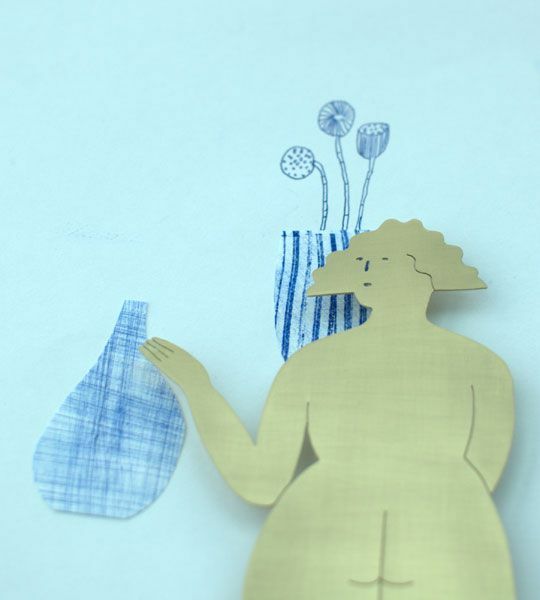 My work tends to be informal, relatively un-precious and playful. 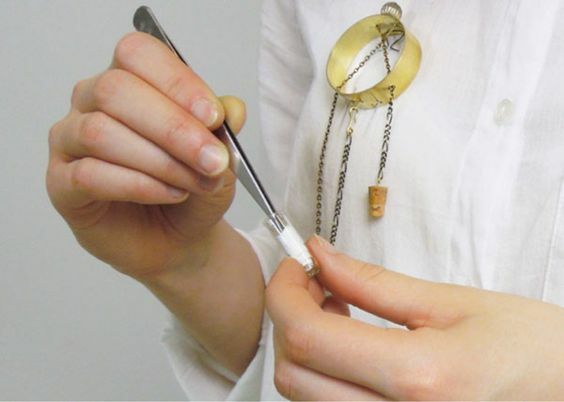 I recently graduated from the design school at Glasgow School of art specialising in silversmithing and jewellery. 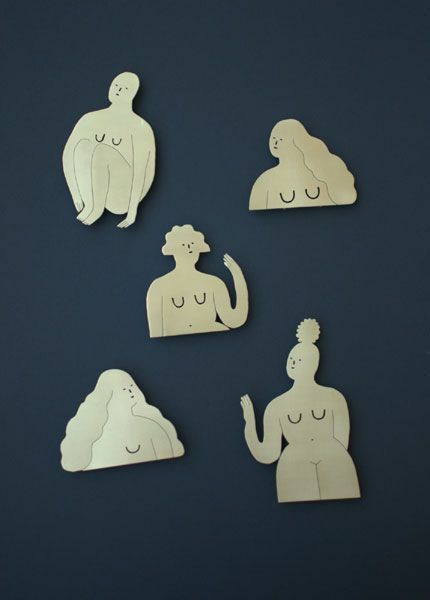 This work originally sprang from my love of illustrating the female form. I enjoy the long linear lines that so quickly represent a woman. With something like five strokes of a pen one can conjure a form, and a character within that form. « The Scottish landscape provides peacefulness, an opportunity to free your mind, and access to silence. A stark contrast to the every day hustle and bustle of city life. Through photography I capture things that interest me ranging from the textures and details in the rocks found at my feet to the wider expansive landscapes that give us a sense of place. I am interested in the natural reflection of the landscape in the details of the rocks – the macroscopic in the microscopic! 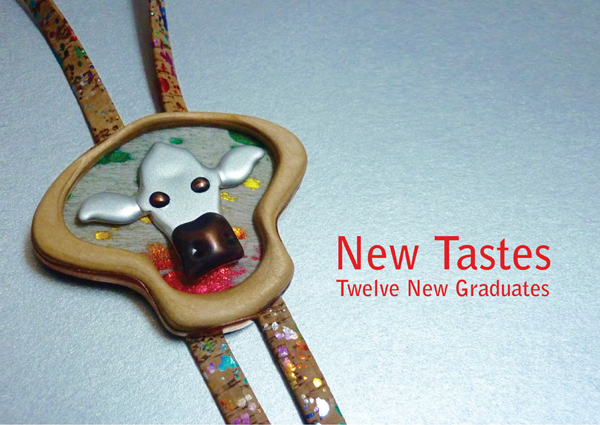 New Tastes introduces twelve new jewellery graduates: Wanshu Li, Edinburgh College of Art; Hayley Brooks, Duncan of Jordanstone College of Art and Design, Dundee; Chen Cheng, Birmingham School of Jewellery; Rob Anderson, Sheffield Hallam University; Sheng Zhang, Birmingham School of Jewellery; Darcey Skelly, National College of Art and Design, Dublin; Francesca Lobb, Manchester School of Art; Felicity Lynden, University of Edinburgh; Freya Alder, Glasgow School of Art; Stephanie O Leary, Middlesex University, London; Michaela Murrain, De Montfort University, Leicester; Amanda Denison, Winchester School of Art.